I believe most of you have still got their lazy-breezy holiday mood swing tuned in. In Indonesia, the country I live in, Ramadhan is one of the most celebrated of all the Indonesian holiday seasons. As they do each and every year, two weeks prior to Ied Mubarak (or Idul Fitri) a majority of the Indonesian population will travel back to their hometowns and spend their "quick-break" with their families. As for myself, I just got back from my holiday trip in Europe. So for obvious reasons, my family and I decided to spend our time together here in Jakarta. You can check out the first part of my #TravelWithJeanMilka series, Euro Trip edition here. Even though I spend most of my time working at home. Holiday season gives me more reasons to indulge myself in my very own #HomePamperingDay. It's nice to be able to spend hours, treating myself to a nice, warm, pleasurable shower routine, over the top hair treatments, and adorning my nails with intricately mashed up nail art. The reason why I keep on rambling about the holidays and all these pampering routine is because I have found the perfect friend to accompany me during a glamorous bathing session. Thanks to Sephora Indonesia, I now have a huge crush on SOAP & GLORY. The three products I'll be reviewing today are; the first SOAP & GLORY product that I have ever tried. I knew that SOAP & GLORY is very well known for their body products. The reason why I haven't thought of checking out the product until quite recently, is because the price is quite expensive. In the end, I finally understood why people tend to rave about it. First of all it smells amazing. Not only while you are in the shower, but the scent, the fragrance will stick around long after you're done. The fragrances will also get stronger if you layer the products correctly. For example, when you layer the products coming from the same fragrance category. Smells like a luxury perfume that would be the first thought that comes to mind when I think about Soap & Glory Clean on Me. While most of the similar products have soap scents - that bleach-like chemical scent that I can't easily describe, I might mistake Clean on Me as a body mist instead of a soap if I were asked to discern it through its scent alone. Soap and Glory describes their scents as original and fresh, summery fragrance, with orange leaf, lemon, peach, sweet strawberries, summer rose, gardenia blooms and jasmine. The scents are mostly flowery and fruity at the same time; which is just lovely. Clean on Me has got one of Soap & Glory's signature fragrance named Original Pink, which also happens to be the most favorite one. I have nothing to say about the consistency. It's just a regular liquid body soap. I notice that it doesn't foam a lot unless you pour it onto a bathing sponge. It passess more as a body lotion with cleansing power. I love the fact that it didn't leave a squeaky clean feeling and added extra moisture even after I step out the bathroom. I only need a small amount of this product to clean my entire body. I've been using it twice a week for a good 2 months - it's expensive so I only use it occasionally, and it still looks like new. This huge (500 ml) pump bottle seems like it will last forever. You can get Clean on Me at Sephora Indonesia for 164.000 IDR. Oh yeah... I almost forgot to mention, the pump works well - Doesn't pump out too much of the product all at once #WorthEveryPenny. My leg skins are often times horrendously dry. Moisturizing it with body lotion or body butter is something I often forget to do. Soap & Glory is truly my life saver and also confidence builder. It removes every bit of dry skin. One of the main ingredient is Shea Butter, makes Flake Away perfectly moisturizing. 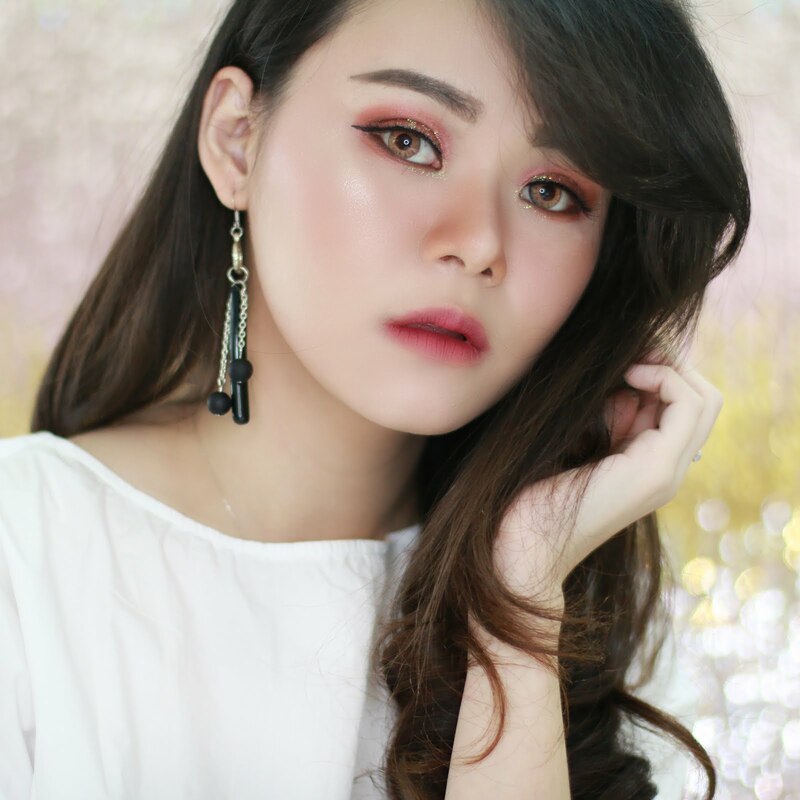 The scrubs is quite harsh so it might not be a good choice for you with sensitive body skin. I don't have problem with the grains. It leaves my skin feel smooth and supple. 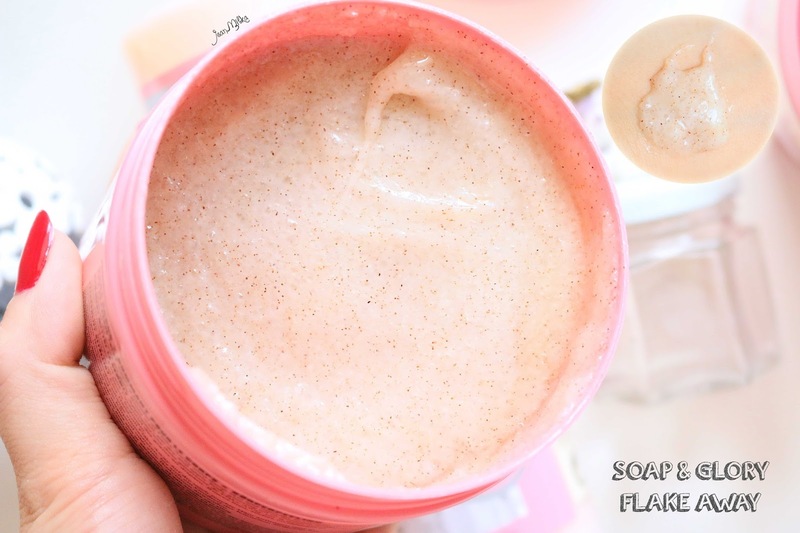 Flake Away is an oil based scrub. It doesn't leave the kind of unpleasant greasy feeling that you can't add more body butter afterwards. But when I'm short on time, I can skip applying lotion and my skin won't feel like it needs one. You can get this scrub for 212.000 IDR at Sephora Indonesia. 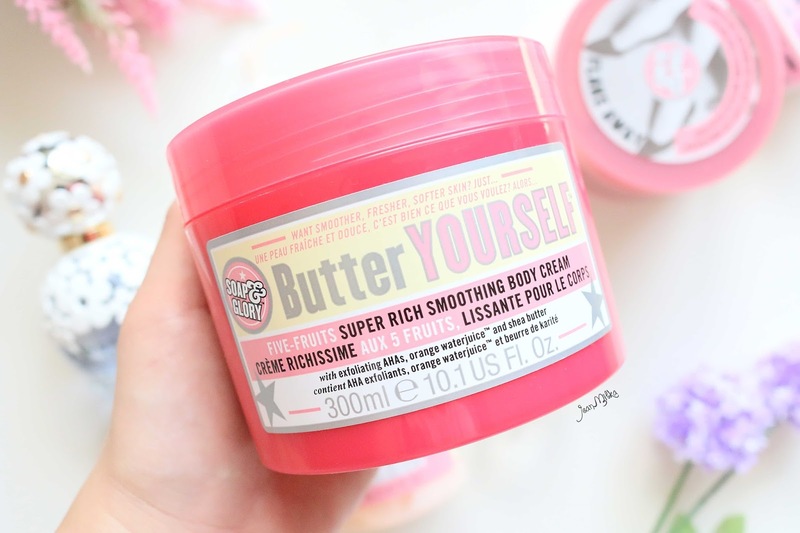 SOAP & GLORY Butter Yourself have different scents compared to the previous products I mentioned. If Clean and Me and Flake Away are part of Original Pink fragrance category, Soap and Glory categorizes Butter Yourself scent as Fruitigo. Described as deeply fruity with a definite touch of fig, also features the headily exotic frozen yuzu, sweet orange oil and pamelo essence. Fruitigo is citrus, woody, and fruity scents all in one. It smells quite strong and citrusy. I love Original Pink fragrance more than this fragrance category. The texture is thick and creamy but not over the top. Thereby it's absorbable within the minute. 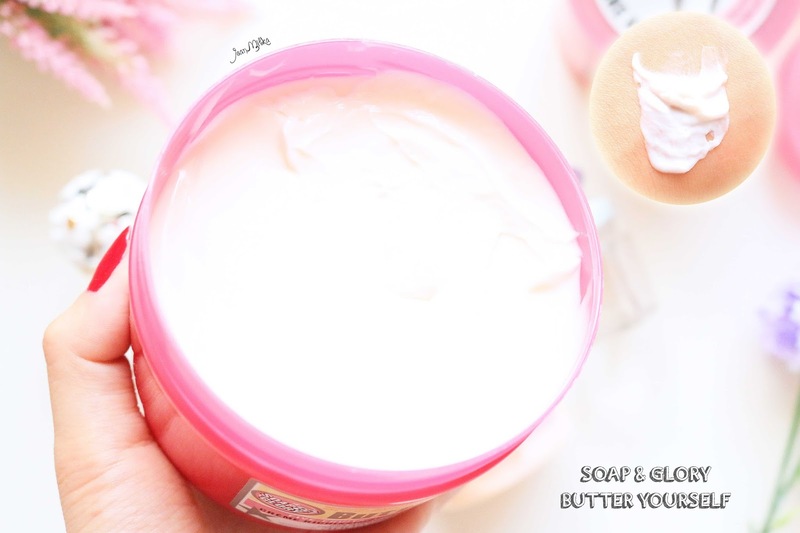 Even though it's moisturizing, it's not as buttery as other body butters. I personally don't like the consistency of body butters that could leave a lasting greasy feel on the skin. Butter Yourself didn't impart any sticky feel on the skin, otherwise it'll dry too fast for a body butter. In the first couple of minutes, you will feel a thin layer of lotion covering up your skin. This thin layer isn't sticky at all, but the feeling is also not pleasurable. In its role as a moisturizing lotion, I'd say I can still tolerate the texture. At least it doesn't feel sticky. But I really can't bear the scent. It's just too strong in my opinion. I think next time I'll try The Righteous Butter, which have the Original Pink scent like Clean on Me and Flake Away. First of all you might think that Soap and Glory body product is overpriced. However, if you think about it carefully, the amount of product that you get and the amount of product that you need for single use makes this product last you for a good time. Therefore it's worth the money. If you don't like scented products, you might not like Soap and Glory. But people like me who loves to stroll around, inhaling exotic smells scattered round perfume stores, than you will thank me for introducing you to Soap & Glory ^^. One more thing, make sure that you love the scents you choose. All Soap & Glory product have strong scents, if you don't really like the scent of a specific product, or is unsure, you'd end up disappointed by it. 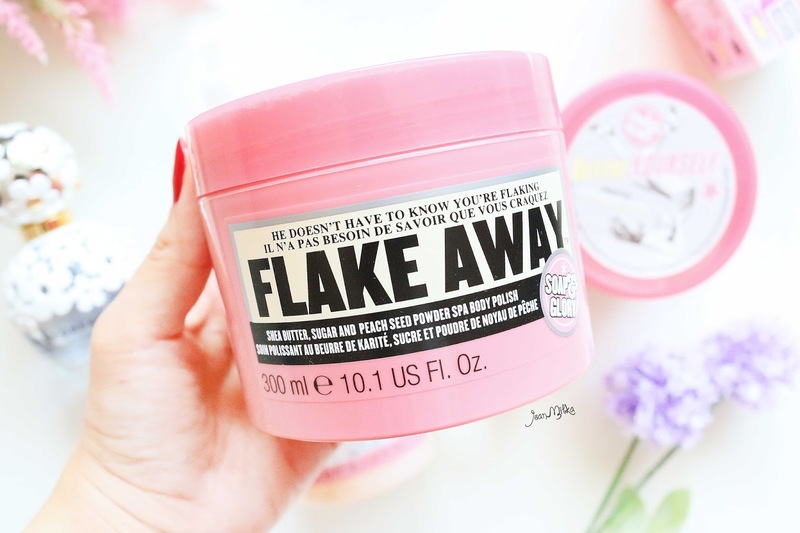 Readers : Have you ever try Soap & Glory product? What's your favorite? 4 komentar on "Glamorous Bath Time With Soap & Glory"
I Love Soap and Glory.My favorite product thus far is Clean on Me. Although I would like to try ButterYourself. I live in the States and the region I am in Soap and Glory is not readily available. Only during the holidays at the end of the year. I think maybe because it is a UK product it is not featured year round. This is a mistake, Soap and Glory is one of the best products on the market. Very Nice post. I also like your Marc Jacob fragrance featured in the picture. Soap & Glory also just enter my city, I am so happy that I can finally get my hands on Soap & Glory. I personally didn't like the scents of Butter Yourself, but Clean and Me and Flake Away smell so great. Thank you so much for visiting my blog. my fav trio from soap and glory!